Diva Cup was founded by Francine and Carinne Chambers in response to their desire to create more sustainable menstrual products. Diva Cup insertion is a breeze – the high quality reusable menstrual cup is manufactured with a flexible construction that assures comfort, and from high grade silicone to ensure durability. The silicone used to produce Diva Cups is made with the same material and grade approved for healthcare for over fifty years, and is free form latex, plastic, PVC, acrylic, acrylate, BPA, phthalate, elastomer, polyethylene, and colours and dyes. All these qualities result in a high quality period cup that is biocompatible as it provides leak free protection. 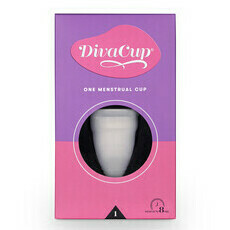 Diva Cup offers product options for all women, with the DivaCup Model 1 (pre-childbirth or under-30) and DivaCup Model 2 (post-childbirth or over-30).